The Liberal movement was making strides in Nuneaton and quite a few well known names of the town were members. Places like Atherstone, Foleshill, Chapel End and Bedworth were flourishing and performing good work. Nuneaton needed a central rallying point and there was nothing really worthy of the name. It had been mentioned that the Liberal movement in the town lacked cohesion, so the Chairman of the Committee Mr C.H.Wade approached Mr Stanley, Mr J.F Johnson and Mr George Orton, they set about getting an establishment up and running. Reginald had a plot on the corner of Stratford Street and Abbey Street and they decided this was a great central point for the club. 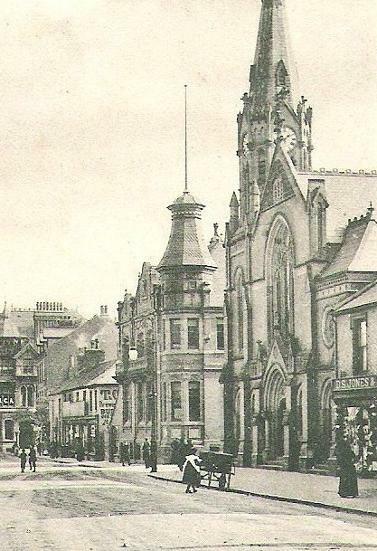 As you'll read, Mr James Tomkinson J.P laid the foundation stone in late 1893 for what was going to be a splendid rallying point for the Liberals of the town. The Liberal members gathered together for this exciting development. The weather was delightful and outside the half built construction, the scaffolding was covered with flowers and bunting, the speakers platform adorned with planets and ferns adding to the grandeur of the event. By four o'clock a large crowd was gathering, even women at their open windows in the houses opposite were watching the proceedings with great interest. Some important Liberal members took there place at the front, Mr Charles Vero (Chairman), Mr James Tomkinson, Reginald Stanley, Joseph Fielding Johnson, William Johnson, Joshua Randle and James Blackham to name just a few. Also present was Thomas Smith, who's task it was to build this fine establishment from plans of Mr F J Yates of Birmingham. Mr Vero stood up and spoke on behalf of the local liberal's, something up until recently they would have found hard to do without a certain amount of terrorism from certain parties. 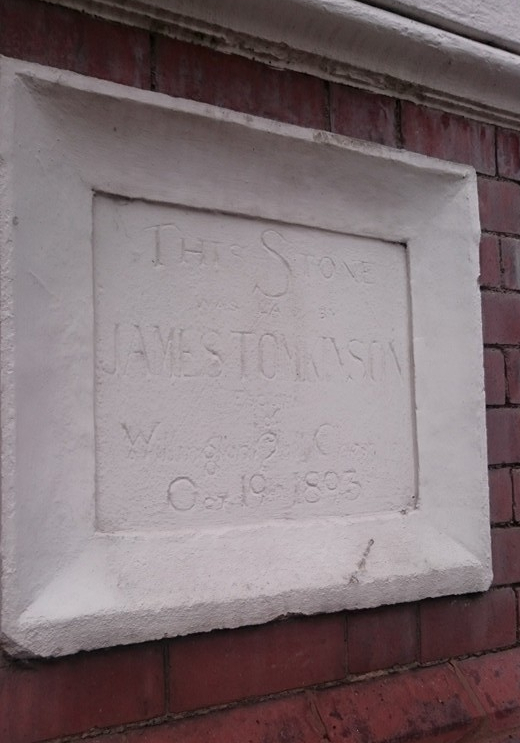 The stone was laid by Mr Tomkinson of Willington Hall, Cheshire, also one of Nuneaton's largest landowners. He was handed a silver trowel, amidst cheering and laughter, he placed the mortar in a workmanlike fashion and guided the stone into its final resting place. Placed below the stone was some coins of the year and a parchment inscribed with the names of the officials. He also addressed the crowd and stoked up the feelings of the Tory party. Mr James Blackham took to the chair next and spoke about the uses for the club. It was for the workingmen of the town, with lectures in the big hall, along with musical entertainment. 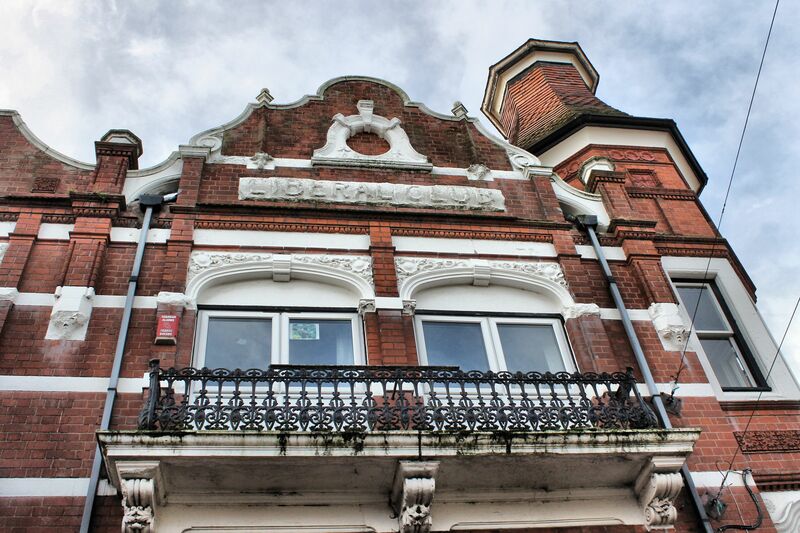 He also wanted to make the point that the club would not become a drinking shop, a gambling hell or a night house, the men could come and get reasonable refreshments and then go home to their wives in a state of sobriety at 11 o'clock. Hoping that before long the membership would reach one thousand. 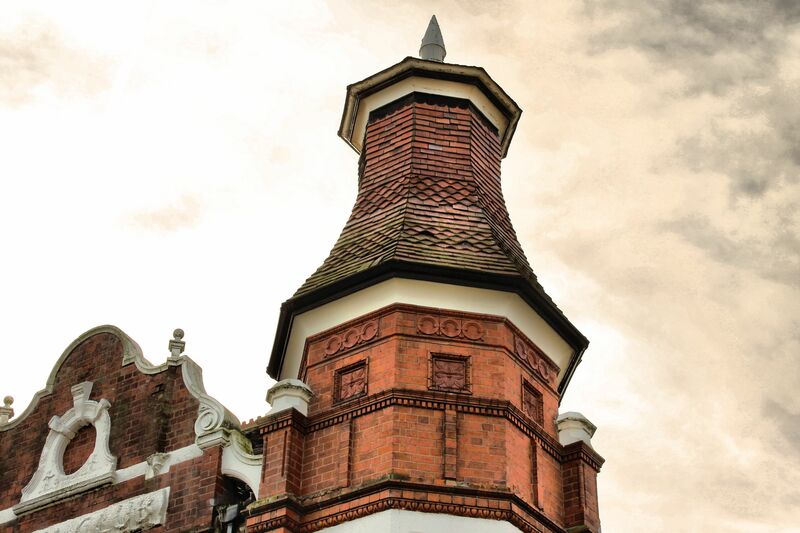 The building as you would expect used various tiles, bricks and finials from Messrs Stanley Brothers and has many red ornament ridge tiles and terracotta art work (see above photo gallery). To set the scene inside this establishment on the day of opening ceremony , I found a report in the Nuneaton Observer dated 2nd November 1894 and it gives a brilliant overview of what a splendid setting Liberals of the town could enjoy. There was also two american bowling alleys in the basement that ran the whole length of Stratford Street. Up on the first floor was the large assembly room (50ft by 20ft) complete with stage and anti rooms. The steward, a Mr David Wilner assisted by his brother Jonathan were given the best treatment too. They had a kitchen, living room and bedrooms of ample size. A bazaar had been arranged to pay for the furnishing of the club. Somewhere in the region of five tables had been set out by the liberal women of the town, selling items like flowers, needle work, bamboo screens and pretty dressed dolls. Inside the reading room, Mr Wade had turned it into a kind of museum with English bird's eggs, fossils of the Warwickshire coal measures, Indian and South American butterflies, ancient records of Nuneaton, along with some old Assyrian pottery. At half past two a automobile arrived in front of the building and the Right Hon, Countess Spencer (Daughter of the 6th Earl Spencer and a relative of Lady Diana) stepped out along with Mrs JF Johnson, they entered the building for the first look around. Mr Tomkinson then gave Lady Spencer a silver key, with which she opened the front door and declared the club open. The evening meeting saw the likes of Sir Hugh Gilzean Reid, Mr W Woodall M.P, Mr C Vero and Mr William Johnson stand up and talk Liberalism, finishing off the night with some singing, recitals and a string band playing. The club was set up as a tea total establishment as above in the paper report. Reginald and quite a few other senior members didn't drink so they enforced this rule on the club. Problem was the town folk liked to have a little tipple. Over the next year they changed the rule and introduced alcohol. This was said to have upset Reginald greatly and he decided to build a 'Temperance' Hotel called The Gate, just yards down in Abbey Street and so implemented the no drinking rule and moved his time and efforts there. 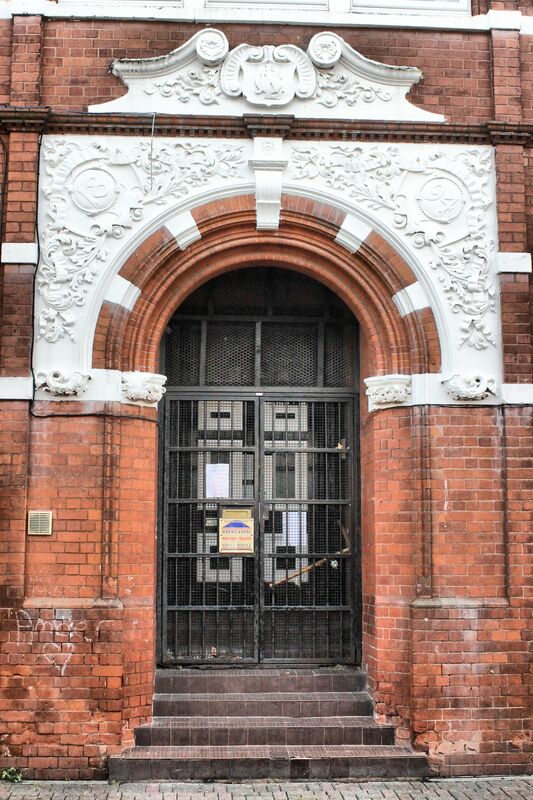 Click on the link above to read about the development of one of Nuneaton's finest looking buildings. One Thursday in May 1895, the uprearing of the Nuneaton Liberal Club was commemorated with a fine dinner for Mr Thomas Smith (right bottom) and his employees, numbering around sixty. Along with about a hundred Liberal members, they joined the men in the Assembly Halls for this honorary banquet. The arrangements were left in the capable hands of secretary Mr J Cartwright and Mr Wilner the club steward. The dinner was well cooked by Mr Yoxall and members of the Liberal Women's Association helped by waiting on the table. The successful after dinner musical proceedings was led by Messrs Leake and Clarke. When the entertainment were finished and the cloth came off the table, the chair was taken by Mr J.W.Clay (right top). He proposed a toast to the 'Queen' and that they hadn't met this evening for political but for social purposes. They were there to honour the workmen who built the club, for good fellowship and for harmony. Also getting a mention was Mr James Tomkinson, (Land owner and President of Nuneaton Liberals), he had arrived in town on business but was more than welcome to join in the celebrations, but next time he comes to town they wouldn't be able to promise him a dinner. (laughter). Mr Tomkinson made a short speech. 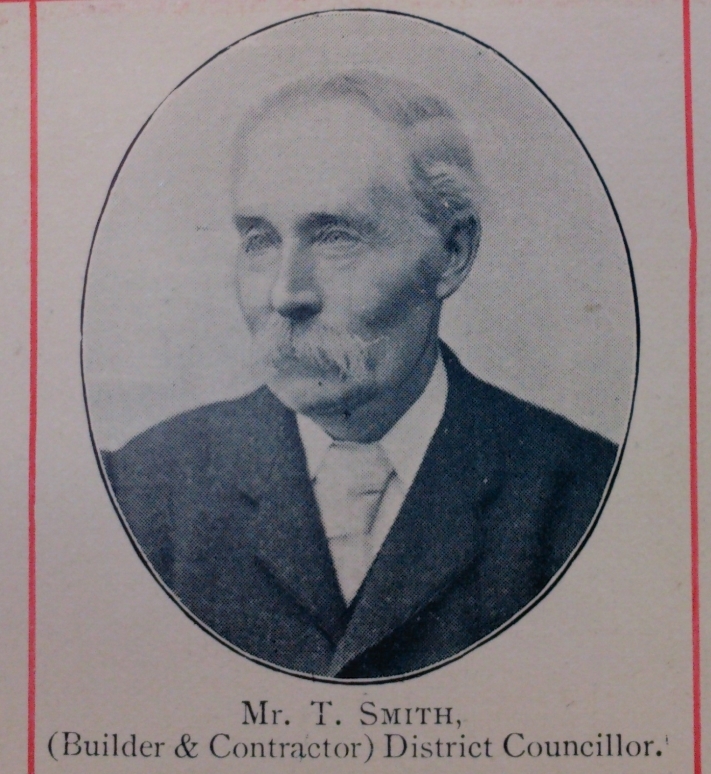 He touched on the fact Mr Smith and his employees, worked in great harmony, to give Nuneaton a beautiful building. He had seen in London that some employers were paying women less money and working too many hours. Employers have a duty to pay a 'living wage' (applause) and that a 'living wage' couldn't be earned on such cheap work. (more applause). 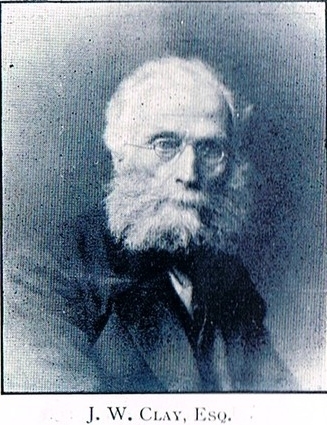 He commented on how Nuneaton's time had arrived to prosper as a industrial centre and that he had assisted in a way by providing land at a fair price. The houses appeared to be well-built and the streets were wide and healthy. If Nuneaton progressed as well in the next 25 years and it had done in the previous 25, and he saw no reason why it shouldn't - There will be a great future before this town (cheers).